Note to future admirals and members of Congress: If you’re going to name a ship Freedom, you’d better make darn sure it’s seaworthy. According to an internal report, the US Navy’s latest greatest toy, the USS Freedom, poses a “high risk” to fail sea trials, can’t pass half the basic standards for a warship, and has been called a “no-go” by a senior inspector. 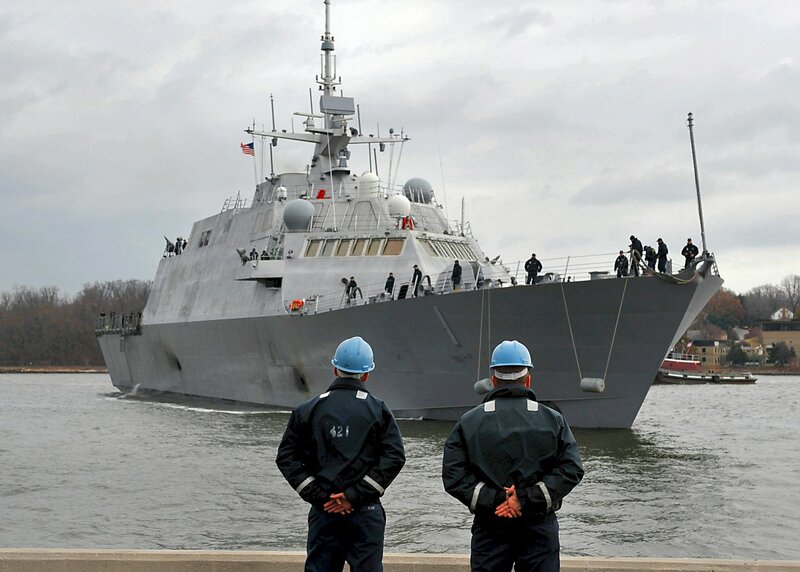 Proponents have long defended the Freedom, commissioned in 2008 as the first in a new class of 55 “Littoral Combat Ships” designed for missions close to shore. It’s supposed to be a cost-effective, flexible fleet. “As we continue serial production, we’re reducing costs and building these high-quality ships faster,” Joe North, VP of Freedom-builder Lockheed Martin, said this week. A 2010 Congressional Budget Office report (PDF) predicted the ships could cost as much as $626 million apiece—assuming everything went smoothly. There was confusion between contractor and crew responsibilities for the performance of equipment checks. The inspection experience level for the majority of the crew is low although they did demonstrate a good positive attitude…the ship was clean. Several areas require preservation. Safety programs aboard the ship are non-existent. Well, at least the ship was clean. That came just weeks after the Project on Government Oversight published a trove of Navy documents showing how cracks and corrosion have turned the Freedom‘s hull into pricey Swiss cheese. “[B]ased on the new evidence we have uncovered, we recommend that the more expensive and severely flawed Lockheed variant be eliminated,” POGO executive director Danielle Bryan wrote. Now Rep. Jackie Speier (D-Calif.), a member of the House Armed Services Committee, is calling for a GAO review of the Navy’s entire Freedom-class program. “It’s disturbing that the Navy would accept a ship that fails to meet the basic requirements for a tugboat,” she said in a statement Wednesday. “Taxpayers have already paid $7.6 billion for the development and procurement of the LCS-1 variant, and for their money they are getting a ship that is cracking and corroding. We can’t have sailors and taxpayers pay the costs of mismanagement.” The price of Freedom, it turns out, is higher than anyone expected.